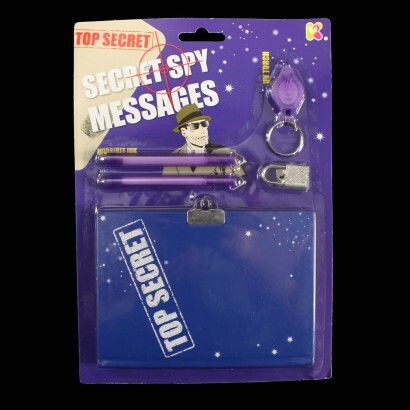 Keep your secrets secret and away from prying eyes with the Secret Spy Message Kit. No longer will nosy siblings be able to go running to Mum & Dad with details of your latest crush or your plans to conquer the world as you can now write your secrets in invisible ink and lock them away sneaky snoopers. 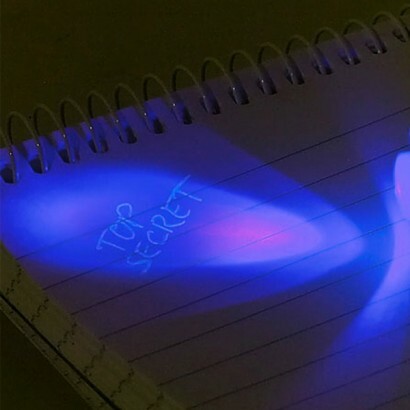 Use the invisible ink pens to write your secrets and they will only be revealed when you shine the UV torch keeping your notes safe from unwanted eyes.